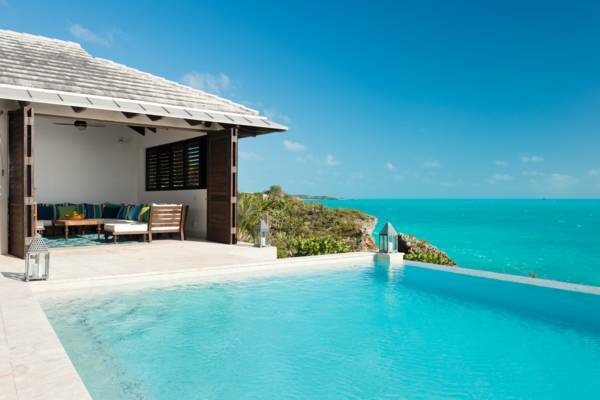 This waterfront villa merges the infinity pool, ocean, and sky into a stunning blue vista that’s sure to become a memorable view from your vacation. Ponte del Sogno is set in the community of Silly Creek Estates in Chalk Sound. 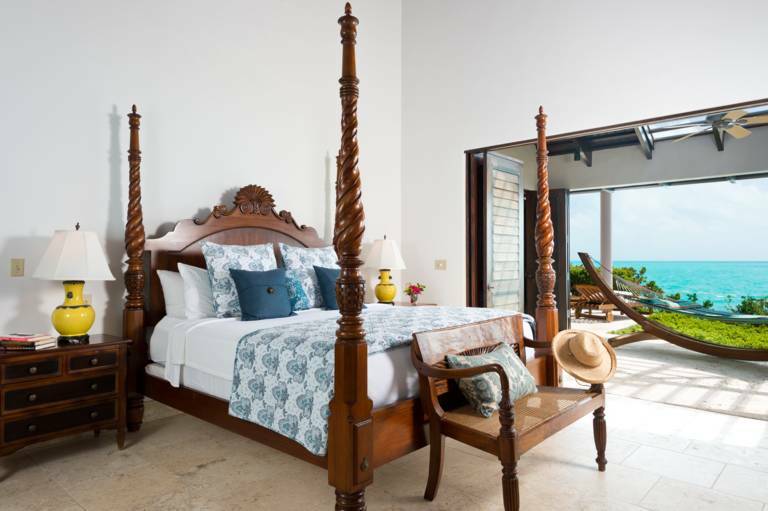 This elegant 4-bedroom villa, built from local limestone and dark wood, features spacious rooms with doors opening wide to the seascape. 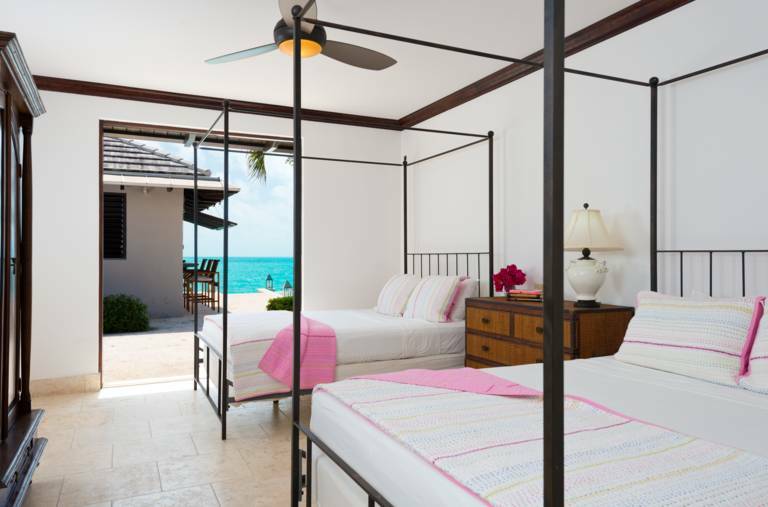 With white walls throughout, this villa provides a bright and breezy interior. The main room has an open-plan lounge, fully equipped kitchen, and 8-seat dining area. Three of the bedrooms open onto the pool terrace. 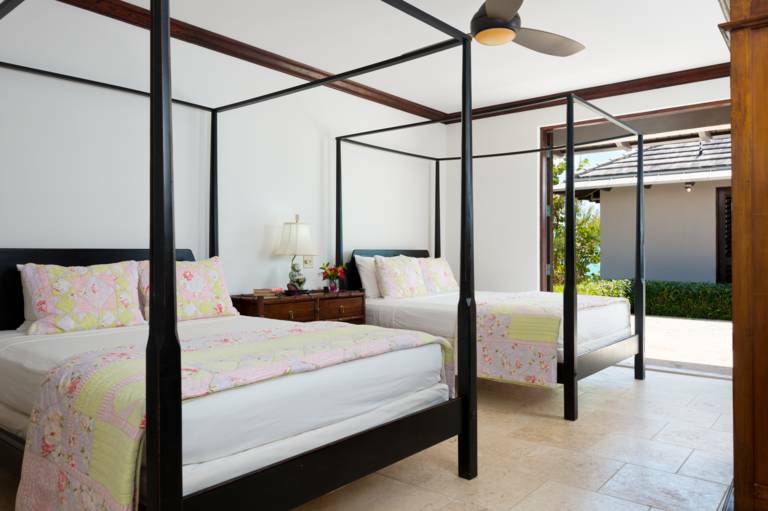 The master bedroom has its own scenic patio and large hammock for enjoying the cool Trade Winds. 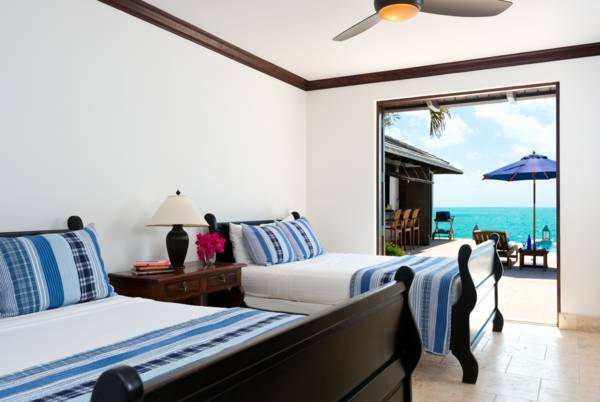 Each bedroom has an en-suite bathroom, ceiling fan, and air-conditioning. Step out onto the covered dining terrace with its comfortable seating and colorful foliage. 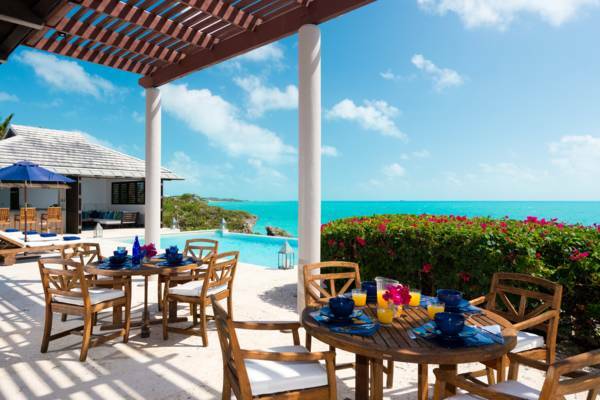 It’s the perfect place to eat breakfast in the morning and dine al fresco in the evening. 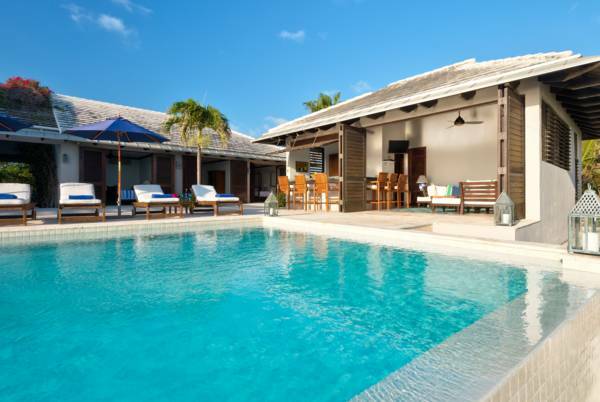 Just off the patio is the infinity pool with plenty of umbrellas and sun loungers. 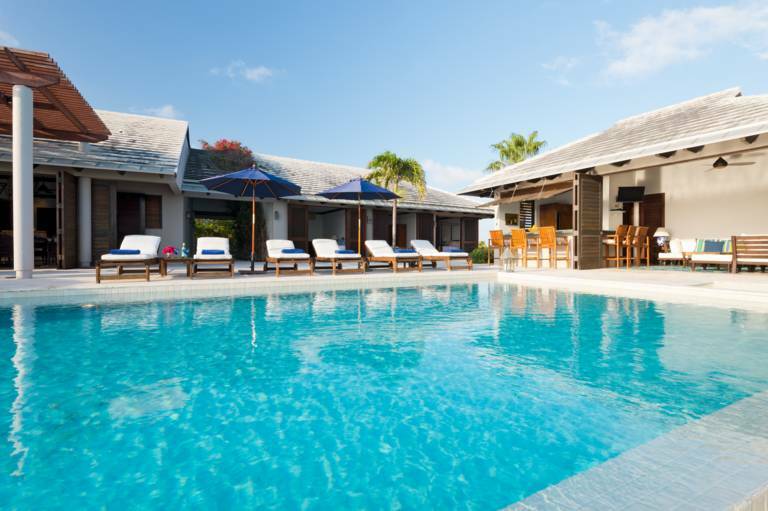 The pool cabana has everything needed for outdoor dining and entertainment with its on-site kitchen facilities, BBQ grill, bar counter seating, flat screen television, and cushioned lounge area. 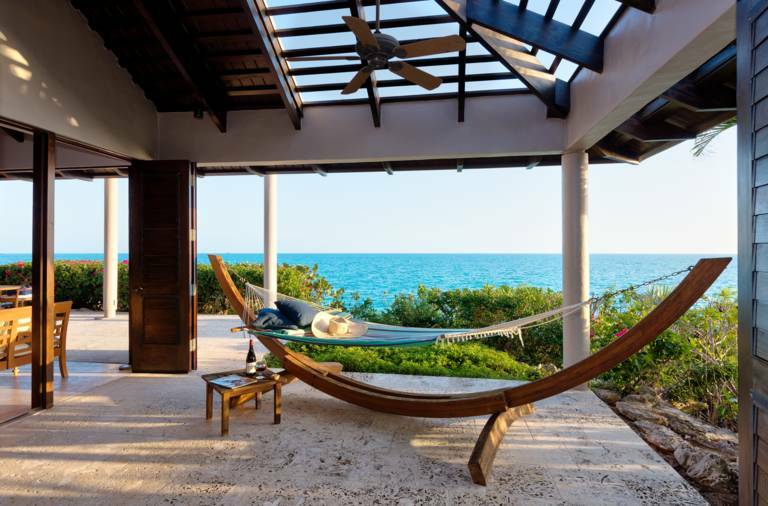 Your private boardwalk takes you down to the oceanfront lounge deck. 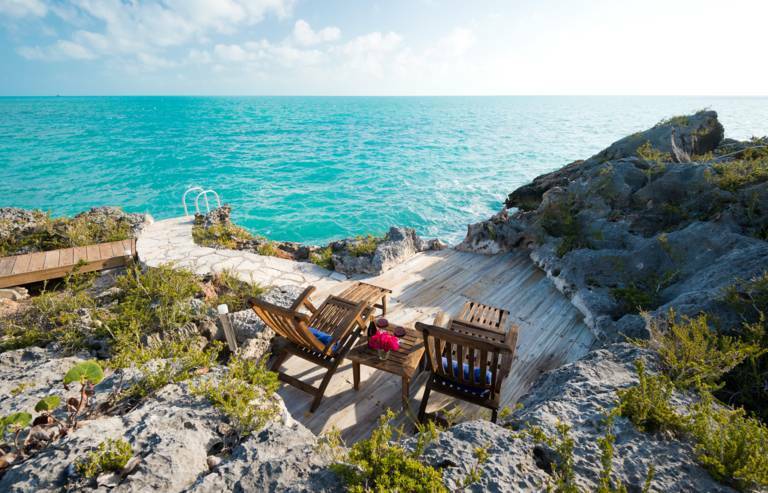 With waves splashing against the rugged coastline, this is an ideal place to sunbathe. 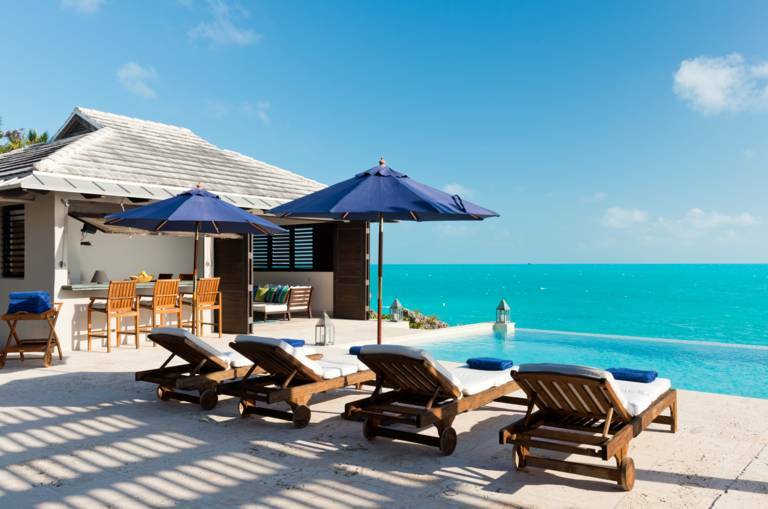 The uninterrupted view to the west makes it quite the location for watching vibrant Turks and Caicos sunsets. After the sun drops out of sight, make sure to look up at the starry night sky. 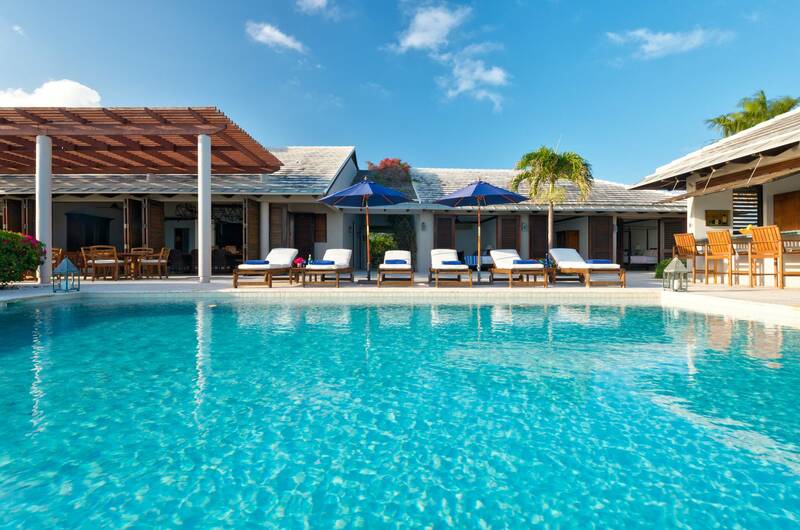 If you prefer to relax on a stretch of white sand instead, Taylor Bay and Sapodilla Bay Beach are just a few minutes drive away. Both beaches feature sheltered coves that are perfect for families and children. The water here is always warm, calm, and crystal clear. It’s nothing short of soothing. 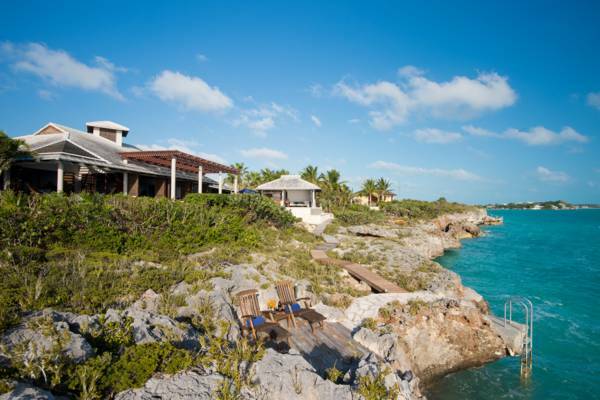 Your villa is right next to Chalk Sound National Park and in-land lagoon. 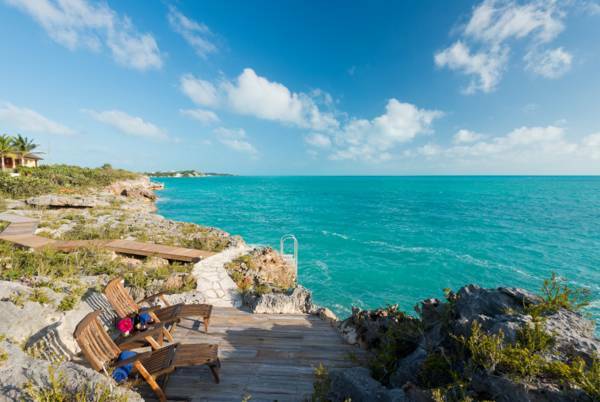 Its amazing chalky blue water is dotted with tiny islands that are home to a few of the wild and rare Turks and Caicos Rock Iguanas. You can lunch or dine at Las Brisas restaurant, on the edge of the Sound, amid the spectacular view. The restaurant even rents kayaks if you want to paddle out and explore. See if you can catch sight of an iguana scurrying among the rocks. 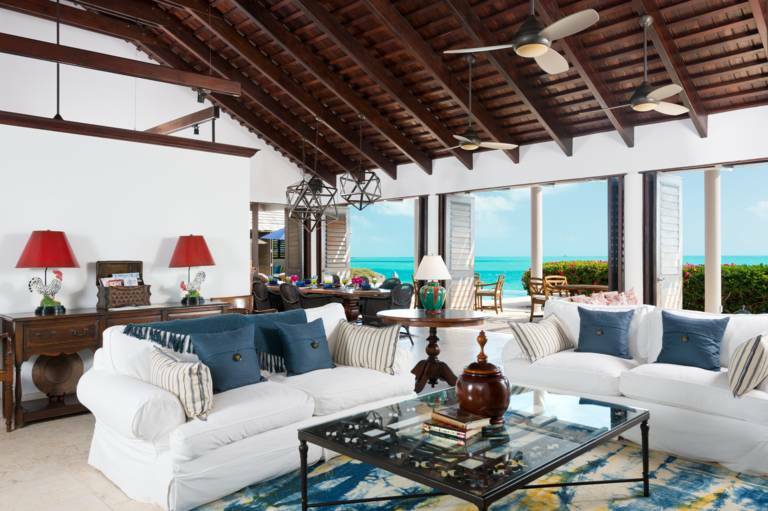 If you’re looking for a stylish villa with a striking oceanfront panorama, Ponte del Sogno offers exactly that. We’ve had such a great vacation! The house is perfect for us. Thanks again and we had a great week! House was perfect.